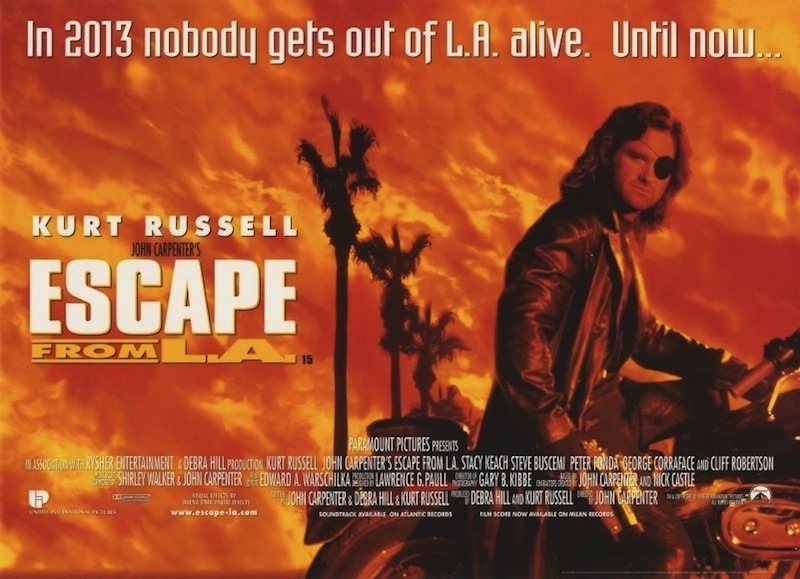 Excellent post Mart, I enjoyed this one... Firstly I haven't seen LA - it got such universally bad notices when it came out in '96, I skipped it and in the years since have never felt any desire to see it - even though it regurlarly plays on TV (much more so than the original). 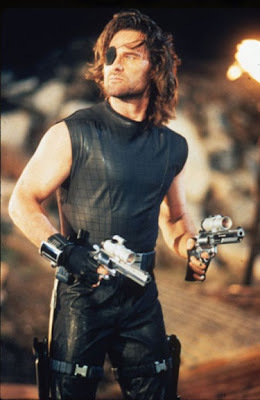 I liked the way You took a chance on the film years later to see if it made better sense - sometimes when you see a problematic film like this out of time, divorced from the hype and the critical hatchet jobs, it can play out totally different - something like Mad Max 3 Beyond Thunderdome or Alien 3 - films that seem to get better as time goes on. Still somethings can never be fixed (the jury is still out on Hellraiser II). Is that Peter Fonda riding the surf, above ? What was Carpenter thinking ? Thanks Wes, you're spot on, that's exactly what I was thinking. I've still never seen Beyond Thunderdome fr some reason. As for Alien 3 I think I was one of the four people worldwide who actually liked it at the time, and I completely concur regarding Hellbound. To answer your final questions, yes that is Peter Fonda and I don't have a clue! I am right there with you on this one. I love the the original to death, and to me is considered a landmark film in both Carpenters career and cinema in general. 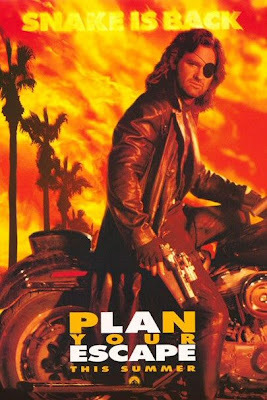 I remember being so let down by this one at the theater that I never gave it another viewing until recently. I couldn't even finish it. 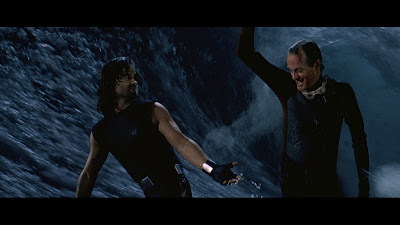 It was lame in almost every aspect, with the effects being the most obvious and then just some of the sequences in general, like the surfing sequence. Dear lord! What were they thinking??? Great review, I couldn't have said it any better myself. I saw this one during its original theatrical run. While I don't think it's terrible, it is definitely a weak JC film. 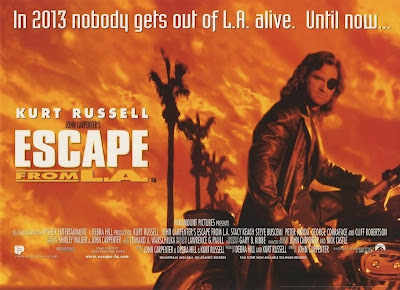 Escape from LA is essentially a remake of Escape from NY. 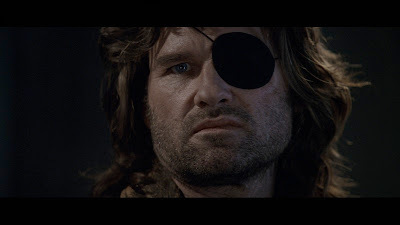 Where the original was subtle camp humor and dark exploitation, Escape from LA is overt and cheap humor. That basketball scene, for example, is ridiculous. Not in a good way. It's interesting to read your thoughts on this one AHND, and I hope you have a good one.